Diverse parts are another key area where Nova separates itself from its competitors. Whether a part has a complex or simple configuration we have been successful in truly utilizing the awesome power of near net shape design. 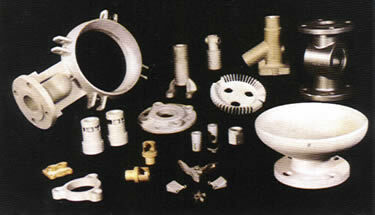 We cast parts that range in size from several ounces to 200 pounds. Our parts are used by OEM’s in many industries such as: fluid handling, chemical processing, materials handling, filtration, petro-chemical processing and many other diverse markets.